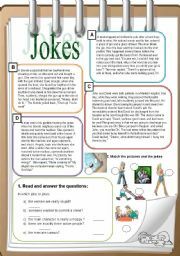 I try to make communicative worksheets. There are 5 different exercise, including a song,an explanation and a questionaire. 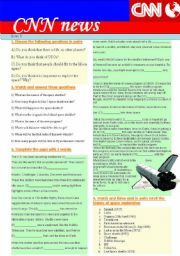 While the first page is only about grammar, the second is very creative and communicative. The song is called "Being around" and it is by Lemonheads. I hope you like it. 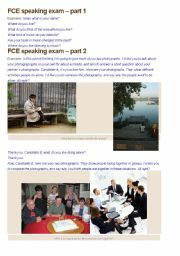 While I was preparing my blog at http://www.fceexam.com I realised that the content could easily be turned into a worksheet for three students. Here is a Word version. 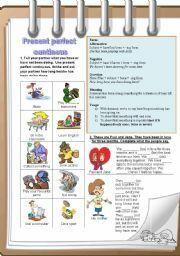 At http://www.englishrot.com you can find a pdf version which takes just one page. There are 5 different exercises and an explanation. 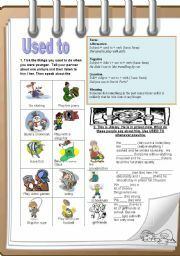 Students should understand the usage and learn the form. 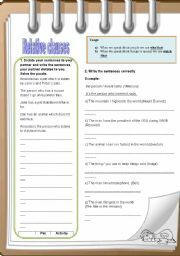 There are two speaking exercises in which they will use it in a personalised way. KEY included. Hope you like it. Warning: The word POOP is used in one of the activities. 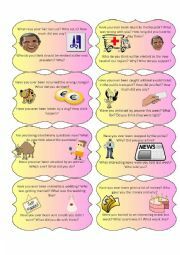 Here is my first powerpoint game on reported speech. There are 8 interactive slides, so I hope you like it. There is a story about my sister. Students choose the correct form into each gap. If they click their answers in the correct order, they play a game as a reward. There is the end of the story in part 2 I hope you like it. Ask the students to choose the correct forms into the gaps. If they answer correctly they will play a game. I ask them to write their answers on a piece of paper and in the end they retell the story using the forms they have written down. This is the second part of the game. Students type the adverbs by clicking on the letters. Enjoy. It�s a game where all students take an active part. They work in pairs. Each pair tries to write a correct question and answer. For each correct question and answer they get the indicated points (thus they can get up to 50 pts in one round.) Enjoy.